High Court To Wade Into Immigration Debate The court agreed to hear a challenge to a controversial Arizona law that targets people suspected of being illegal immigrants. This is a setback for the Obama administration, which had urged the justices to wait for the lower courts to thoroughly examine the constitutionality of the issues in the case. A U.S. Border Patrol agent patrols along the U.S.-Mexico border in Naco, Ariz., in September. On Monday, the U.S. Supreme Court agreed to hear a legal challenge to Arizona's tough new law on illegal immigration. The United States Supreme Court added another red-hot rocket to its docket on Monday, all but ensuring that it will resolve a major immigration case just weeks before the major parties hold their conventions next summer. The court agreed to hear a challenge to a controversial Arizona law that targets people suspected of being illegal immigrants. This is a setback for the Obama administration, which had urged the justices to wait for the lower courts to thoroughly examine the constitutionality of the issues in the case. The court's decision to hear the Arizona case adds yet another politically charged controversy to a docket already brimming with divisive issues. The immigration case will likely be argued in April, just weeks after the challenge to the Obama health care law is argued. But unlike in the health care case, the immigration case will have only eight justices on the bench. Justice Elena Kagan has recused herself, presumably because she took some action related to the case when she was solicitor general. In addition to these blockbuster cases, the court last Friday agreed to hear a challenge to a new but temporary map of election districts in Texas. That case, which the court is hearing on an expedited basis, will be heard in January. It pits Latinos and the Texas Democratic Party against the Republican-controlled Texas Legislature and the state's Republican governor, presidential candidate Rick Perry. At issue in the immigration case is a 2010 Arizona law that became a model for even tougher laws in other states. A federal appeals court blocked enforcement of some key parts of the Arizona law earlier this year. Most notable is the "show-me-your-papers" provision, which requires state and local law enforcement officers in Arizona to detain any person stopped or arrested for any reason if that individual cannot prove that he or she is in the country legally. Other provisions put on hold by the lower court make it a state crime to be in the country illegally or fail to register with the federal government, and allow state and local police to arrest anyone without a warrant if they believe the individual is subject to deportation. The Justice Department filed suit against Arizona, contending that the state was usurping the federal government's exclusive authority over immigration. Arizona says that as a border state, it suffers disproportionately from the effects of illegal immigration, and that its measures complement the federal law and fill a void left by the federal government's lax immigration enforcement. 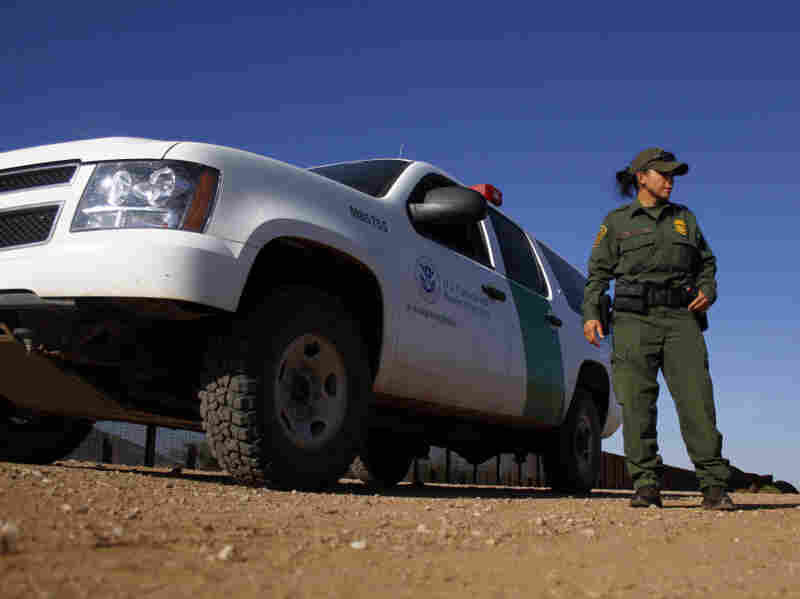 Border Patrol statistics, however, indicate that the number of people trying to cross the U.S.–Mexico border illegally has been dropping precipitously over the past few years. Even with twice as many border agents in the field, the number of arrests for illegal crossings last year was 328,000, roughly one-fifth as many as a decade earlier. Experts say the number of arrests for illegal crossing is indicative of the overall flow rate , and some say the rate of those going back home is now about equal to those entering the U.S. illegally.